As you know, the default language of Microsoft Office is English (USA). Perhaps changing language is unnecessary if you live in an English-speaking country. But it would be very necessary if you were born in another country and English was not your native language. Recently I have got many requests for issues related to installing language pack. So I gave it a try but without success. Honestly, I dont know much about this matter. I have always used the english version so I never thought about that. 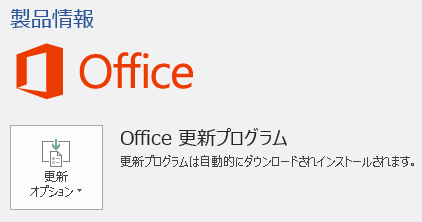 At present, there is no way to install additional language in english version of Office Volume. In spite of that, I kept trying to find another way. After testing some ideas, I figured out a solution which helps you reinstall Office (there is a option which allows change language). First, if you have Office (english version) already installed, please completely uninstall it from your drive. 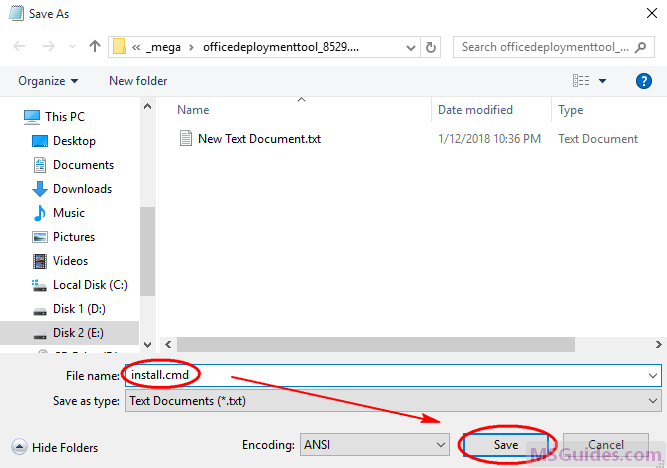 Step 1: Download Office Deployment Tool from Microsoft homepage. 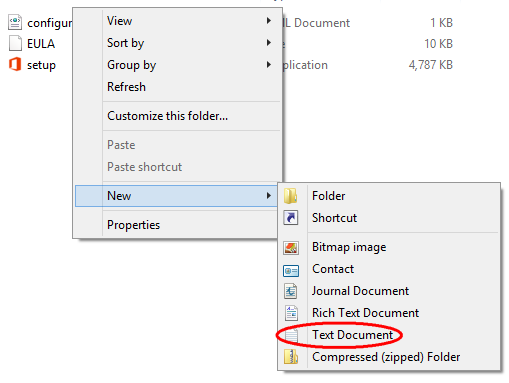 Step 2: Extract the contents of this file. You will be left with some files (configuration files, EULA and setup.exe). 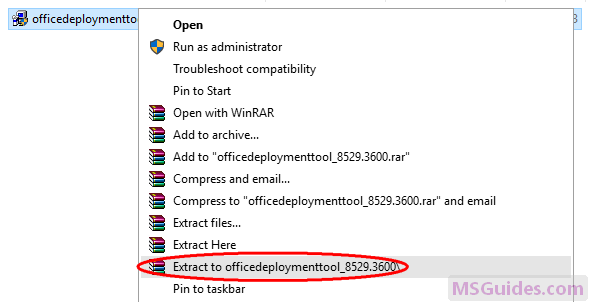 If you dont see “Extract to officedeploymenttool…” in the right-click context menu, just run this file, accept Microsoft Software License Terms, then click Continue button to extract files. 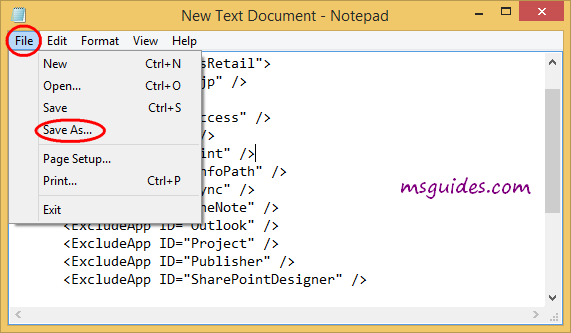 Step 3: Copy the following code and paste it into a new text document. Before starting, let me explain. OfficeClientEdition=”32″ Downloads and installs the 32-bit edition of Office. If you have 64bit Windows, just replace “32” with “64”. ID=”ProPlusRetail” Downloads and installs Office 2016 or 2013 ProPlus Retail. If you want to install Office 365, just replace it with “O365ProPlusRetail”. For Project/Visio, just use “ProjectProRetail” or “VisioProRetail”. See list of product IDs here. 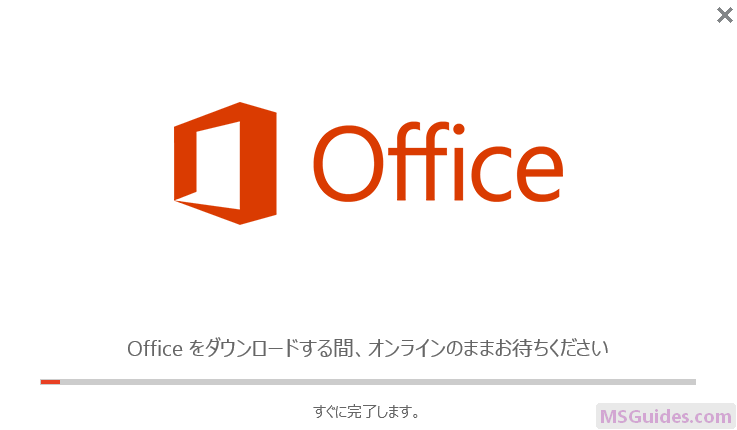 ID=”ja-jp” Downloads and installs Japanese version of Office. If you want to change the display language, just replace “ja-jp” with your native language. See list of language IDs here. <ExcludeApp ID=”Access” /> Defines which products would not be installed. If you want to install Microsoft Access, please remove this line. Do the same to the others. Note: You need to edit the code based on what I explain above. Then save it as a config file using “.xml” extension. 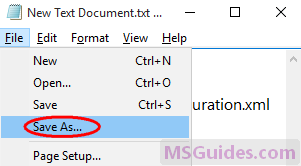 Step 4: Copy the code below into the new text document file. Then save it as a batch file with .cmd extension (eg install.cmd). And make sure this .cmd file, setup.exe file & config.xml file are in the same folder. Step 5: Right-click on the install.cmd file and run it as administrator. Note: If you see error, just run this file normally instead of doing it with admin right. Right now, the installation process starts. 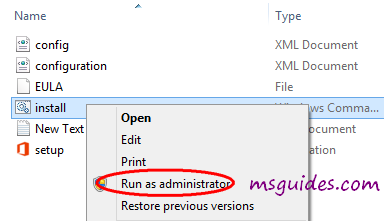 Step 6: After successfully installing Office, you can activate it for FREE using KMS method. Hey, i need help to change the idiom ! its in korean!! i couldnt install the office on my laptop because it says that its either i dont have enough space on my hard drive or my internet connection isnt working but i have wifi and it IS working and i still have space on my hard drive, what should i do? Same problem here! Someone PLEASE HELP! Run this file as an administrator and viola the product will be activated. Once office 365 has been installed, it says click start to view your apps. However, I do not find any Start option available. Moreover, when I ran the activator, the activation was successful. Where do I find the installed application and how do I use it. Thanks for the help till now. Try the search bar or open the office and open them from there. Did you find out how to change the language? It’s killing me. 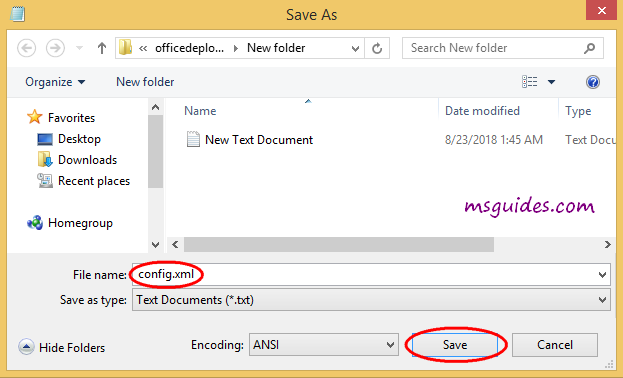 Can save the download install files on pen drive? Make sure you have a decent Internet connection and your PC does’t download anything else while installing office. Stopped all my downloads and it going way faster! Hi, when I open the KMS activation for 365 version, having installed it, it says me that the version is incorrect. What can I do? Hello. I want to install office 365 and followed the steps accordingly. But can I activate the product with a KMS license key? It appears that on the link you gave for activating the product with KMS keys, there were no videos for Office 365. Can you please help me? Check the version 32 or 64 bit. thanks a lot ! Be careful people, you have to change the lanugage as explained in the first text file before making it a config file, if you don t want it japanese. How do i change the language from japanese to english? can do that with step by step in picture?